Sielox offers the latest innovations in access control power solutions from Altronix, the leading designer and manufacturer of quality low voltage electronics for the video surveillance, security, fire, access control and automation application markets. Altronix is the global leader in power and data transmission solutions for professional Security, Surveillance, Access Control and Fire applications. Altronix designs and manufactures innovative solutions that integrate disparate infrastructure and maximize overall performance and efficiency. Our comprehensive line of power products and peripherals, feature the quality, reliability and unparalleled customer support that have been associated with Altronix for over 30 years – proudly made in the U.S.A and backed by a lifetime warranty. Included is the Altronix Trove Access and Power Integration Solution. The Trove2SL2 enclosure and backplane allows installers to easily integrate Altronix power supplies and accessories specifically with Sielox access controllers. 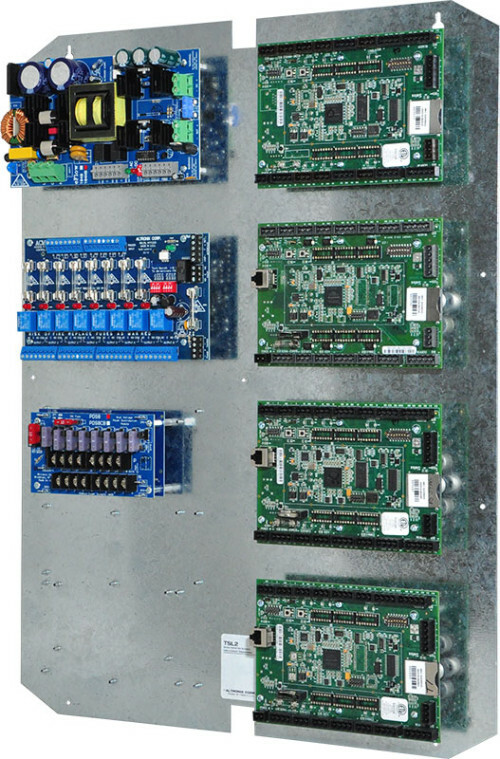 This integration solution simplifies board layout and wire management, reducing installation time and labor costs while enhancing performance and efficiency. Altronix Trove2SL2 includes a cam lock, tamper switch and mounting hardware.